Make up junkie? Love finding and perfecting new techniques and cool solutions.....then maybe this book is what you need. 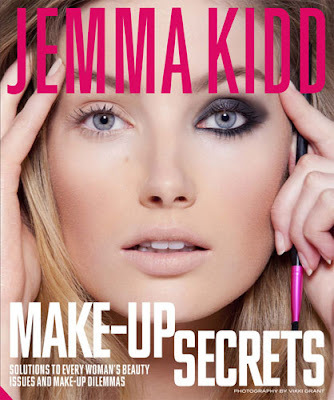 The lovely Jemma Kidd has just released her second book in the series of Make up Secrets. 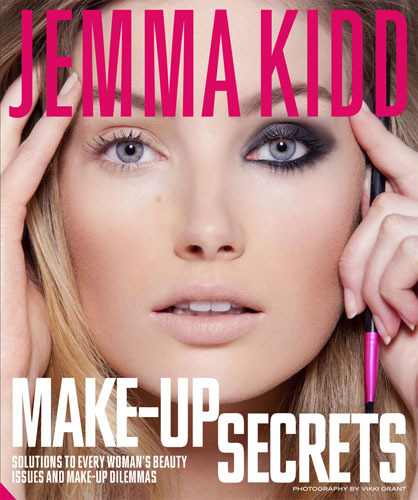 Jemma Kidd has spent years in the business working as a professional make up artist and her wealth of expertise and endless supply of cool tips and tricks has been packed into these books by way of easy to follow step by step looks and techniques for you to try yourself. The book is split into sections, the first being 'making make up work for you' which basically includes tips on how to work with skin tone, eye shape etc as well as step by step tutorials on how to create a complete look such as this online tutorial below for a complete Audrey Hepburn look. The second part of the book is all about problem solving and answers all those skin and make up concerns as well as showing you different looks you can do yourself. The book is easy to follow, informative and jam packed full of knowledge, tips and pictures written in an enjoyable and easy to read format. The looks are achievable and don't include ridiculous lists of random products that some tutorial books can, Jemma knows her stuff and this book would be great for those still new to make up and experimenting but also those that know their stuff as this book is full of little tips and tricks that everyone can benefit from. If you fancy bagging a copy of the book yourself, adding it to your xmas list or buying it as a present you can find it on various online retailers such as the Book Depository and Amazon. The book retails for £25 but you can find various amazing pre xmas deals from as low as £14.25. If you want to find out a bit more about the book then simply check out this interview with Jemma where she tells you all about the book and some of the tips and tricks she's included. ohhh interesting! I love Jemma Kidd and I love Audrey Hepburn. I still need to try my hand at a Audrey look. How fun! great post...I had no idea this book existed. I may check the book out. Thanks! Hi Toxy! This looks like a great book - I am always amazed at the difference good makeup and even more so, good application makes to your look. WIll definitely have to have a better look at this book! Thank you also for visiting my blog earlier and the sweet birthday wishes, I really appreciate it :) I'm now following you on GFC and look forward to reading more!